This kit includes a solid mass flywheel (SMF). If your vehicle was fitted with a dual mass flywheel (DMF) as original equipment (OE), changing from a dual mass flywheel (DMF) to a solid flywheel (SMF) increases the reliability of your clutch system and allows the flywheel to be machined for longer life. 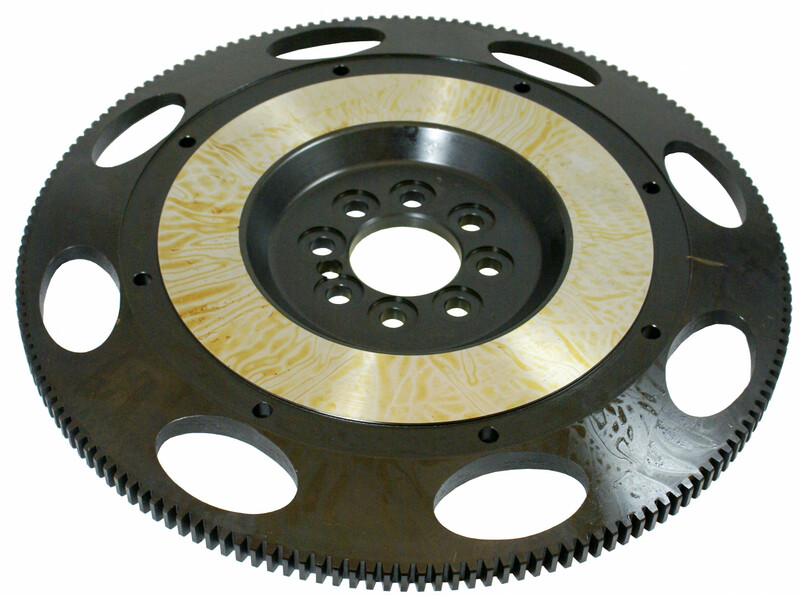 However you might experience slightly more noise or vibration comparied to a DMF clutch system. Performance Clutch Systems typically involve an increase in clamp load and/or use of aggresive friction material to achieve higher torque capacity. However there is a practical limit - Increasing clamp load by more than 20% can put the vehicles hydraulic system under stress, significantly reducing clutch system life and resulting in very high clutch pedal actuation effort. And the use of aggressive friction material will noticeably reduce driveability. 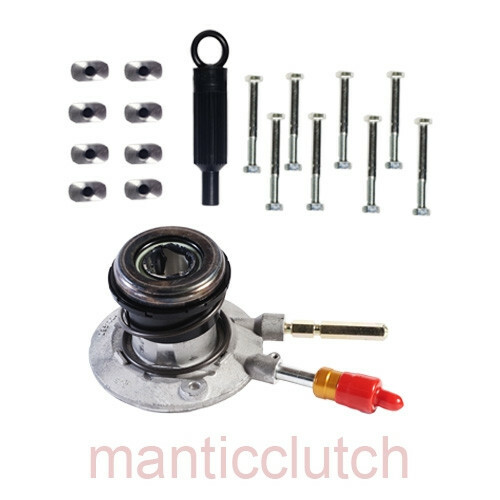 Enter the benefits of a Mantic multi-plate clutch system. A 9 Twin Plate Mantic Track system has the same effective surface area as an 18 single plate clutch; and a 9 Triple Plate Mantic Track system equates to 27. So increasing clamp load is no longer a priority as the significantly larger surface area creates a massive torque capacity increase. 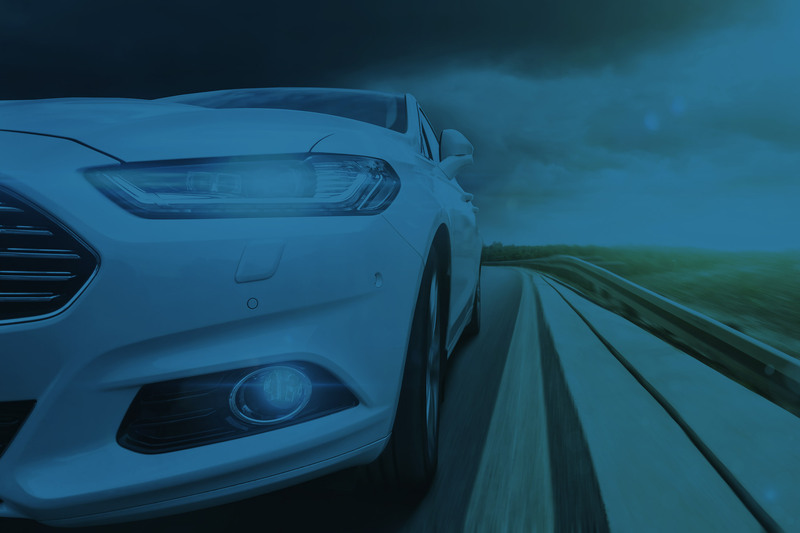 Mantic Track cover assemblies are extremly light which reduce the moment of interia (MOI) acting on crank rotation mass, allowing your vehicle to develop faster acceleration through easier rev'ing. 6. We reserve the option to repair or replace products at no charge if found to be defective during the warranty period. 7. This warranty will be VOID automatically if in our reasonable opinion the product has been subject to any unreasonable use, misuse, negligence, fire, or accident; or the product has been modified, repaired or dismantled without the prior written authorization; or any part has been replaced with a non-approved part. We reserve the sole right to inspect, evaluate and test the purportedly defective product in any way deemed appropriate by clutchsales.com.au, and then make the final decision as to whether the product in fact is faulty or defective in material or workmanship. This is our exclusive written warranty. We make no other express warranties, nor is anyone else authorized to make any express warranties on our behalf. 8. Upon discovering a purported defect that you believe is covered by this warranty, you must immediately (within 30 days) return the product to us, together with a detailed written description of the purported defect and proof of original purchase. 9. No warranty claim will be accepted under this warranty for incorrectly installed parts unless approved by clutchsales.com.au under the clutchsales.com.au ?No fault? warranty provision, which may be withheld at the absolute discretion of clutchsales.com.au. 10. Our goods come with guarantees that cannot be excluded under the Australian Consumer Law. You are entitled to a replacement or refund for a major failure and for compensation for any other reasonably foreseeable loss or damage. You are also entitled to have the goods repaired or replaced if the goods fail to be of acceptable quality and the failure does not amount to a major failure. WARNING: DO NOT USE ANY CLUTCHSALES.COM.AU PRODUCT IN VEHICLES WHICH HAVE BEEN MODIFIED TO EXCEED THE MAXIMUM ENGINE RPM(S) BEYOND THAT WHICH WAS SPECIFIED BY THE ORIGINAL VEHICLE MANUFACTURER WITHOUT FIRST INSTALLING APPROPRIATE SAFETY EQUIPMENT, INCLUDING BUT NOT LIMITED TO TRANSMISSION GUARDS, AS SUCH USE MAY CAUSE THE PRODUCT TO EXPLODE UNEXPECTEDLY CAUSING SERIOUS INJURY AND/OR DEATH.